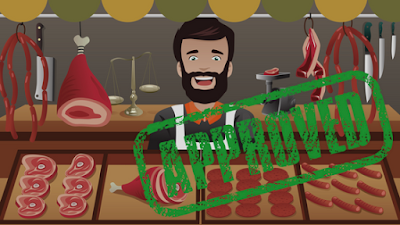 Let’s face it: Most of us have forsaken the friendly local butcher in favor of convenient chain grocery stores—sacrificing taste and customer experience in the process. The locavore movement is a growing population of eaters that bucks this trend by only consuming locally produced food. In order to stick it to the man (take that, Sam's Club! ), we’re highlighting local, free-range butchers around the country that avoid chemicals, deliver quality and care and ensure the humane treatment of their animals. Ethical dilemmas aside, undue stress in an animal’s environment can alter its pH level and taint the taste of its precious meat. We’re not advocating that you become a card carrying member of PETA, but you’ve got to be concerned about quality if you want your dishes to taste just right. Frankly, a bland burger, steak or sausage is just the wurst, so here’s our list of eight locavore-approved meat markets that are a cut above their peers. 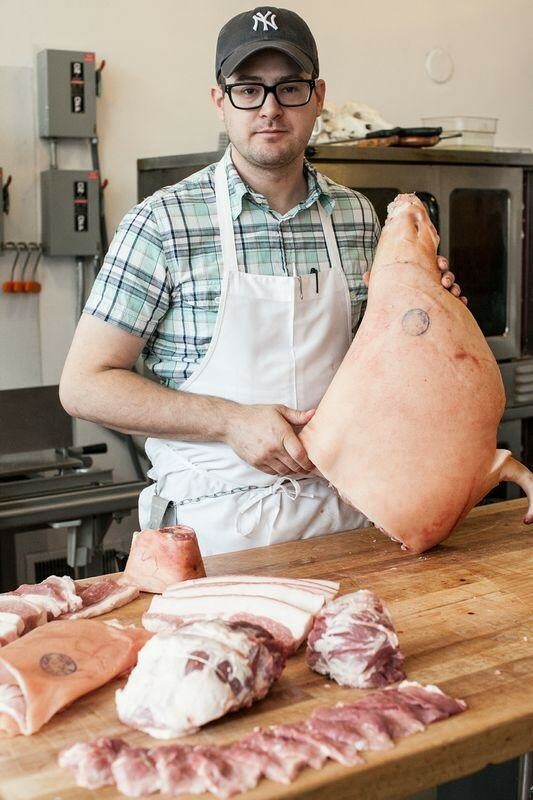 An urban-dwelling foodie’s paradise, Red Apron isn’t your traditional butcher shop. Founder Nathan Anda has made his mark on DC by building lasting relationships with farmers in the area and selling in small batches. Make sure to get the pork when you visit, because Red Apron is America’s first butcher to source 100% of its pork from Animal Welfare Approved farms. Voted San Francisco’s best butcher shop by SF Weekly, the GGMC is an old-fashioned meat market operated by the Offenbach family for nearly 40 years. GGMC boasts over a thousand natural and organic products, making it the perfect destination for meat lovers looking for variety. Be sure to check out their free-range Kobe beef—it comes from happy cows. A restaurant and butcher shop hybrid, the Local Pig is committed to providing meat lovers in Kansas City with humane, locally sourced fare. While the eatery is renowned for its “Pigwich” sandwich, the main attraction is the healthy selection of choice cuts sold over the counter. Each Sunday, the Local Pig also offers a sausage making class, where you can learn how to put all your shiny new sausage making toys to use. Salt & Time is committed to bringing the best meat from Texas ranchers directly to hungry Austinites. They offer a wide assortment of cuts, sausages and ground meats to choose from as well as a monthly butcher’s box if you’d like to try a little of everything. If you’re feeling inspired after eating Salt & Time’s famous burgers in-restaurant, you can mimic them at home with one of our burger kits. Another butcher-restaurant mash-up, the Butcher & Larder rules the Chicago meat scene and sources its food from Midwestern farms. Take advantage of Rob Levitt and his staff's’ expertise and ask for recommendations—they know protein inside and out. Pro tip: The restaurant is BYOB, so make sure to come prepared with a few cold ones. With meat sourced from seven nearby farms, the St. Paul Meat Shop practices whole-animal butchery and emphasizes sustainable practices. While the Twin Cities rave about their pastrami sandwiches, make sure to also check out their selection of brats and jerky. A family-run slaughterhouse with only four employees, Dispenza’s strives to emulate the charm of traditional meat markets. Just a short drive north of Buffalo, you’ll find specialty meats that aren’t at most grocery stores (jowl, cheek, primal cuts, etc.) alongside their more conventional products. Take family breakfast to new heights by snagging some of Dispenza’s fresh eggs and some thick-cut bacon for home curing. T-Meadow Farm has a very simple philosophy—they raise their swine “the way the pigs like it”. Using low-impact methods, T-Meadow rotationally grazes their livestock on sprawling pastures and refrains from the use of antibiotics. You can grab a whole cut of their pork at the Elmwood-Bidwell Market on Saturdays and grind the leftovers for safekeeping. If you want your pork cooked to perfection, you can also enjoy it at a handful of local eateries including the Black Sheep, Marble & Rye or Toutant. T-Meadow Farm holds a special place in our hearts for being close to home, and a special place in our stomachs for being downright delicious. 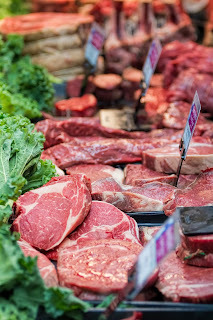 Do you have a favorite meat market or butcher in your area? Tell us about them in the comments below or share them on our Facebook page! Go to Old School Butcher, If Kevin Doesn't have it, He will try his best to get if for you! Great Service , Fresh Hand Cut Meats and Deli! How about https://mtangelsausage.com/ in Mt, Angle, OR! All natural, gluten and nitrate free hand made sausage.